A garage door generally makes up one-third or even more of the entire front facade of a property. When carefully chosen, garage doors complement the appearance of a property, while a poor choice makes them an eyesore for the occupants. When it is time to replace an old garage door, it presents a good opportunity to give a facelift to the property. If you too are planning to get a new garage door, we are here to help you narrow down your options by presenting the tops 3 prevailing garage door styles in the U.S. Take a look. Raised panel garage doors are one of the most common garage door styles. In fact, it is the style most homeowners think of when they think of garage doors. While floating panels were a key features in the original raised panel doors, the modern versions such as fiberglass door panels are solid. One of the reasons for the growing popularity of this type of garage door is that they are available in a variety of materials, such as steel, aluminum, fiberglass, and wood. This style of garage doors suits a variety of properties. Generally, they replicate the look of traditional doors used in carriage houses in the yesteryears. Having said that, they don’t look out of place when installed in a property with a contemporary design. Traditional carriage doors had to be opened and closed manually. Modern variants of carriage doors, on the other hand, can be opened and closed with the help of an automatic opener. Contemporary garage doors are characterized by tempered glass panels that are either tinted or clear, and encased in painted aluminum frames. They are designed to complement modern houses with clean lines and accents. In addition, slab doors, which open by folding up as one single panel rather than 3 or 4 separate horizontal panels, are also making a comeback in homes with retro-modern designs. Like carriage doors, slab doors also come with automatic openers. Whether you are looking for a simple and classic garage door, or an ultra-modern, high-tech variant, we have got you covered. Overhead Garage Door LLC is a trusted garage door repair and installation company, serving customers in Dallas, Fort Worth, and other parts of Texas. 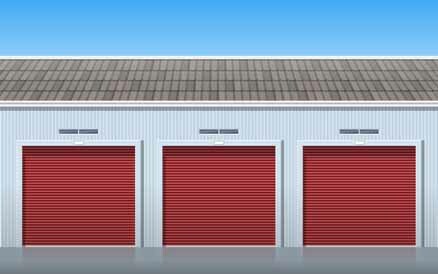 As an experienced and licensed business with a rapidly expanding customer base, we are ideally positioned to handle both residential and commercial garage door needs. We provide same day as well as 24-hour garage door repair service on all types of doors in Fort Worth, TX and neighboring areas. To place a service request, simply call 800-471-4505 or drop a message here.